With apologies for the crappy photography. This was ostensibly for my mother and father to do general internet surfing, and replace their seven year old Dell. But my brother (who lives with them) also needs a computer, and I'm eager to get him away from his old Sony PlayStation. The budget was around $800.00 (which I went over when you include shipping, always include shipping). In addition to everything else, I'd never built an AMD system before (been an unabashed Intel fanboy), and was curious to see what all the fuss about Ryzen has been about. The video card was affordable (and in stock), and would meet everybody's needs. 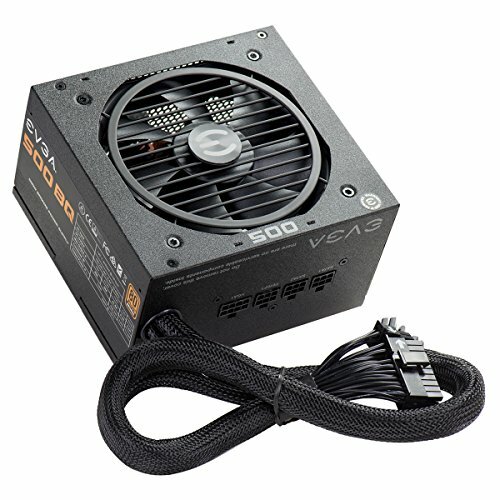 What's really nice about this model is it doesn't require any power connections from the power supply (keeping cable management simple). Further in the vein of simplifying cable management, I also only have the 256GB NVMe M.2 SSD as storage. Just about everybody in the house will be using this incidentally, without the need for large hard drives. The case is a dream to build in, with plenty of space, and means to access the various faces. It also features several areas to upgrade components (i.e. ; more hard drives, more cooling). It's also a classy design my mother won't mind having on the desk (not under it collecting lint and dust and whatnot). I tinkered with the overclocking but in the end delivered it to my parent's house at base clock speeds. The last thing I wanted to deal with, was supporting a system I got experimental with. This system boots in no-time (around five seconds after POST) and I've yet to run into any games it won't run at least around 60 FPS. A solid CPU, suitable for nearly all occasions. Can be overclocked for the games or content creators. Run stock to keep the temps down, and fans quiet, while still delivering solid performance for more pedestrian uses. 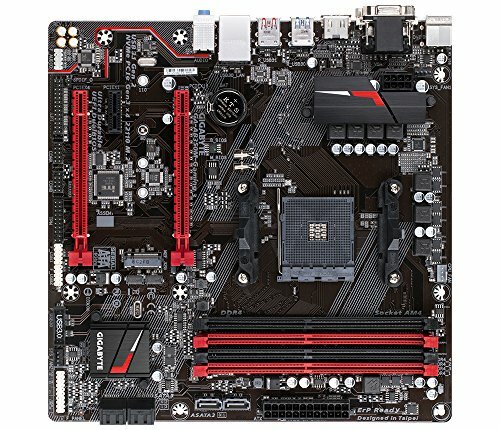 Pros: A great motherboard. Connectors are in their expected locations, the red and black colours look classy. Cons: The CPU power connector was a bit of a pain to get plugged into, and there are only two Sysfan connectors, requiring a splitter if you want the classic "2-in, 1-out" fan arrangement. Classy design, dead quiet fans, vast amounts of room, many cable management tools, and a power supply enclosure. I dearly love this case. Dead quiet, I had to put my ear next to it to hear anything (and even then it was barely audible). I really like the choices you make for affordable quality machines for everyday use and causal gaming. It is right in line with what I have looked at for my kids. Nice work. Nice build! I've always loved builds that meet needs well but are not super overkill. This has plenty of future proofing without going overboard and an easy upgrade path should the need arise. Well done. It looks simple and clean enough. My only suggestion would be a 1+TB HDD for general storage, but if you don't need it then it should be fine. I wanted to build in that case to begin with. It may be my first "upgrade". I cannot recommend this case enough.